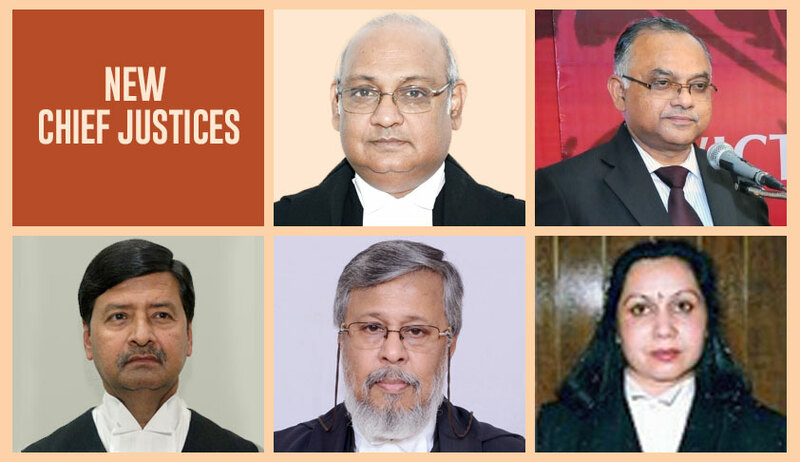 President of India has appointed new Chief Justices in Kerala, Karnataka, Tripura, Manipur and Meghalaya High Courts. Chief Justice of Meghalaya High Court Justice Dinesh Maheswari has been appointed as the new Chief Justice of Karnataka High Court.He has been directed to assume charge on or before February-20. Acting Chief Justice of Kerala High Court Justice Antony Dominic has been appointed as the new Chief Justice of Kerala High Court. Justice Ajay Rastogi, Judge of the Rajasthan High Court, has been appointed as the Chief Justice of the Tripura High Court with effect from the date he assumes charge of his office.